‘Cardio’ is a Greek form of word derived from the word kardia that means ‘Heart’. 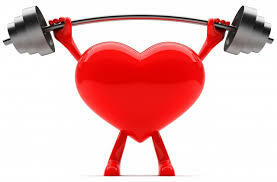 Cardiovascular health refers to the healthy functioning o our heart and its circulatory system. Heart is one of the integral parts of the body. It is located at the center of the chest and its apex muscular part is mostly pointed towards left side that is why heart is said as located on the left side. With the change in lifestyle and dietary habits, our metabolic functions are weaken and stiffed. Life has became so busy that only few are concern about their regular health progress; now-a-days most of the people intakes oily stuffs like French fries, chips, high fat cookies and so on. Because of these factors only, most of people are suffering from obesity and cholesterol problems. Cholesterol level means the increased level of oil in blood. When the cholesterol level increases it makes our cardiac-system work in a stiff slow manner and heart blockage occurs which firmly and automatically leads to heart problems even heart attack. Factors such as fast foods, unhealthy lifestyle and stress; all these contributes to heart ailments. In our daily routine, we are liable to all the responsibilities. In our 24 hours we have not even a hour for our health. We have no time to think about our heart (circulatory) system. In most of the cases it is observed; general public avoids their cardiac-system to a great extent and regrets during their senescence. In males, the average age of heart disease is 50 and in females it is 60. But our carelessness has decreased it a lot that is not fixed. Excessive intake of fast food that contains bad cholesterol; such as fries, chips, samosas, cold drinks and so on. 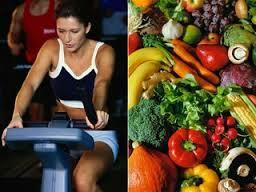 Unhealthy lifestyle or sedentary lifestyle that makes the calories to get deposited instead of getting burnt. Lack of workouts and exercises. Heart problems are the key to the depletion of body. When we intake junk foods containing high amount of oils and fats in a regular manner, our cholesterol level increases. If still our intake is same, heart blockage can take place which can automatically lead to heart attack. In most of the cases, if any of these symptoms occurs even in a regular basis; people avoid it as normal and minor disorder. Their view is very common for these major things. But beware; your little carelessness can lead to a disastrous result. So, immediately consult a cardiologist or a physician if any of these symptoms arises. Exercises and jogging keeps you fit– If you are not leading a sedentary life, busy in household tasks, active movement occurs while working. These are not enough to maintain your cardiac health. Many guys have a misconception that if they walk while working it is same as exercises any they don’t need anything else. This is wrong! While jogging and exercising, your body as well as cardiac muscles gets ample amount of warm-ups and relaxation; that they actually needs. Early morning exercises are very good; don’t leave it on some other day. Start it right now, early morning exercises keeps you fit and in addition it also keeps your blood circulation active clearing all the heart blockages. Walking, jogging, exercising, cycling, swimming are some of the workouts that are very beneficial for heart and keeps our chest portion strong. Yoga can be miraculous in heart disorders- Yoga is a form of traditional exercise that has permanent results. Especially in the cardiac cases, yoga asanas are very advantageous. But if you are a heart patient, any specialist should be consulted before starting these. In addition with these asanas; Half teaspoon of garlic powder with half teaspoon of amla powder in water should be taken early in the morning. These double the curing action. Yoga asanas like; Bhujangasana, Anulome viloma, padmasana, gomukhasana etc can be practised daily to get the maximum benefits. Protect yourself from climatic changes– As we can see, today whole nation is affected from global warming. Because of this, a drastic and sudden change in climate can be noticed. It is also a great factor that contributes to heart disorders. When the sudden seasonal changes occur, our immunity as well as metabolism tends low. As a result, our body becomes weak and is eligible to any kind of disease. Especially in the winter it can be seen that cardiac and respiratory related disorder are casual. This is the effect of seasonal changes in our body. Intake two apples daily– It has been scientifically proved that eating two apples everyday strengthens your cardiac muscles. Especially in females, after menopause the level of estrogen secretion changes. Because of this change, their blood cells are affected. If the menopause occurs early then you must need to consult a physician. Be careful about the food you eat– It is also advised by the doctors, to intake home-made foods. Now, in the case of heart problems a special care should be taken in diet. Firstly, use of ghee, butter, dense oils, buttermilk and all oily food items should be avoided. Simple foods like mixed fruit salads, pulses, brown rice, oats, green vegetables, small fishes should be included in your diet. To be secured from heart diseases, you need to avoid cholesterol and fat foods. When the risks of cholesterol arise it accompanies some more disorders like diabetes, blood pressure with it. When the heart defect is noticed; intake of salt and sugar should be minimized. Soybeans, butter, ghee should be avoided by the heart patients. Instead of mustard oil use olive oil in your food. Toned milk should be used instead of full cream milk. Start using pulses, salads and light food in your diet. So guys, this was the answer of how to strengthen your cardiovascular system. Friends, life is only beautiful when it is fit and healthy. Don’t forget “Health is wealth”. Stay conscious about your health. Be happy and live your life freshly.